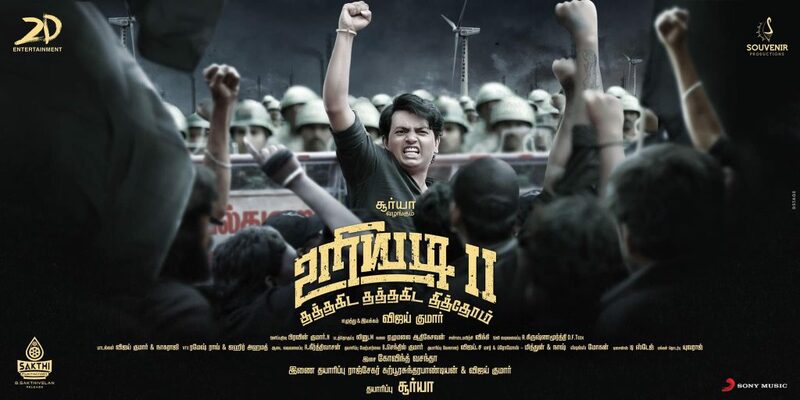 Uriyadi 2 Review: After the much critically acclaimed Uriyadi, the Buzz start building when Vijay Kumar announced his next film as Uriyadi 2 under Suriya’s 2D Production. Here is the detailed movie review of Uriyadi 2. The movie is a Social-Political drama but not an exact sequel of Uriyadi. The Movie resembles the Sterlite Factory issue, how an Industry without proper approval producing toxic elements beyond the allowed limit causes health issues to the Public and the employees and also the politics behind that. Vijay Kumar has both directed and performed as lead, his writing needs to be appreciated as it is hard-hitting. Music Director Govind Vasantha is another backbone to the film, his BGM during the Pre-Interval Portions makes you feel the exact situation. His Background scores have elevated many scenes. As Said in the audio launch by the crew, the movie will disturb you definitely. The scenes were realistic but not as realistic as Uriyadi Part 1. Youtube fame Sudhakar has done a decent job. Heroine Vismaya looks beautiful but not has much scope in the film. The songs Vaa Vaa Penne and Iraivaa were good and picturized well. Politics behind these Industries were shown in detail and makes you think. How cast politics is used to gain vote share and what they do to make their cast people join together for their own political gains. Politics behind these Industries were shown in detail and makes you think. Hard-hitting and Disturbing.